To complement our list of Top 5 Places We Visited in Asia list, we also thought about the top 5 experiences we had while in Asia. To clarify, a “place we visited” was just that – a city we stayed in that we really liked the vibe of. An “experience we had” was what we did at a place, and was much more than the place in which it occurred – it was the full experience. In many of these cases, the actual place was not overly exciting, but what we did there was. 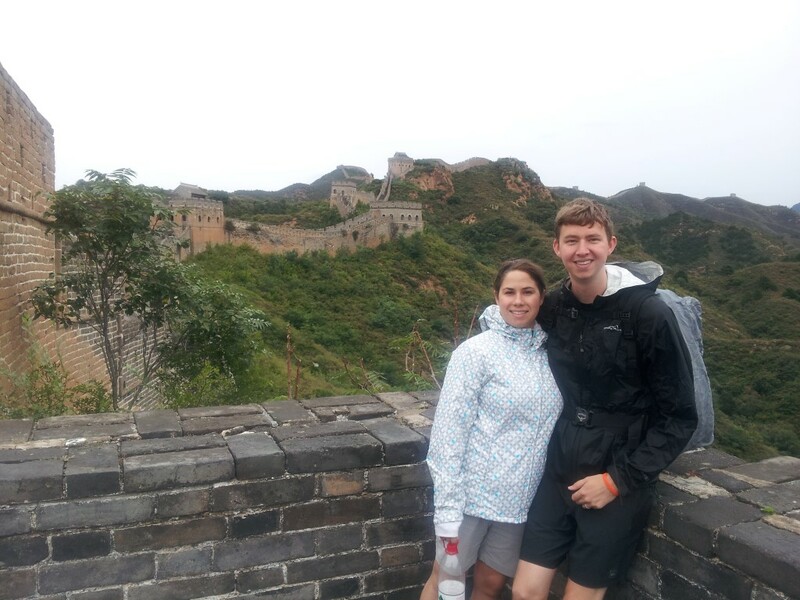 We joined a trek to the Jinshanling section of the Great Wall, which was a more off-the-beaten path destination than the other sections you can visit closer to Beijing. With fewer tourists, it was a more intimate experience. Plus, it was fun to climb over some more dilapidated sections for great pictures. Learning to SCUBA dive is not something we ever planned on doing, but are happy we did, as it opens up many new opportunities for experiences down the line. We actually didn’t enjoy learning to SCUBA dive that much. We went with a pretty cheap place, so we had to do a lot of carrying our gear, cleaning it, and practicing techniques vs. actually diving. We did a dive later in the trip in Ko Lanta, which was so much better. The food was good, they took care of the carrying and cleaning, and we dove through underwater caves while seeing some amazing sea life. We’re looking forward to more of those experiences in South America and beyond. Tiger Leaping Gorge was visually amazing and physically challenging. Even though we didn’t get to spend nearly as much time as we’d have liked there, the 3 hour hike into the gorge was awesome, especially as you got so near the Yangtze you could hear how powerful the river really is. It was another place that was less touristy in China, which is hard to find. 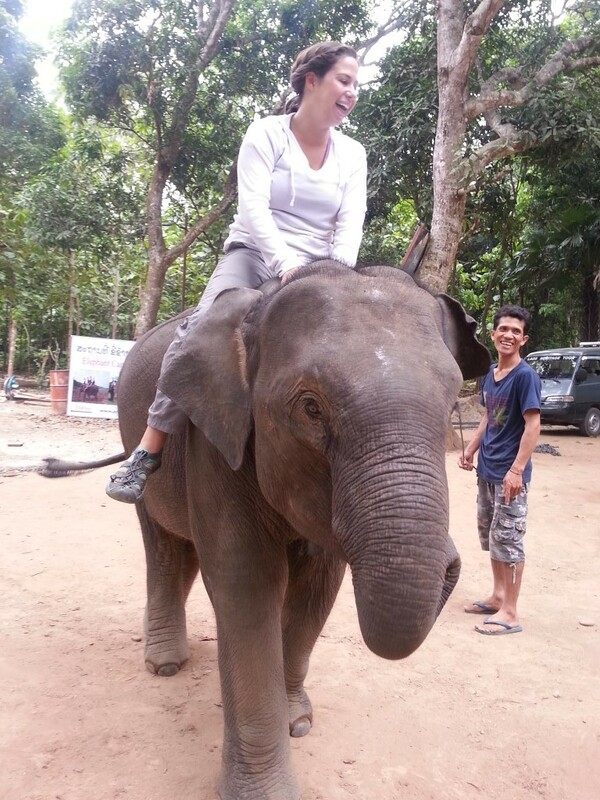 We rode an elephant, through a jungle, up and down a mountain. It’s hard to get more exciting than this – being transported on an animal with such raw power. Plus it was fun to feed them. The caves in the Phong Nha system and the treks to get there were pretty amazing. We were literally the only tourists there most of the time, which added to the magic of these already beautiful caves. We enjoyed the swimming, jungle trekking, and the whole experience of caving before these areas are inevitably altered forever as tourists discover them. Free copy of the Pyongyang Times! This was the most bizarre and interesting experience you can ask for, probably in the entire world. Everything about this – being filmed, the fixed itinerary, the lack of freedom, the misinformation, the forced bowing to the great leaders – was like being in a different world. 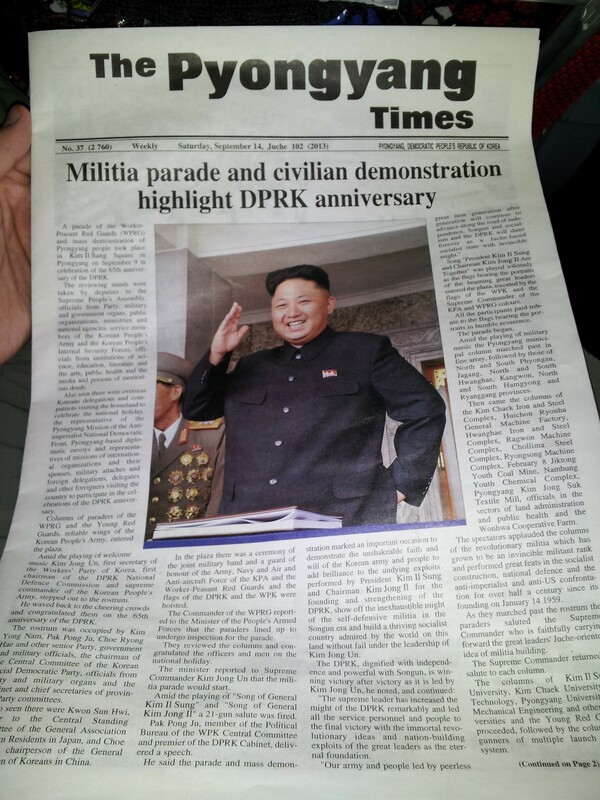 While essentially a propaganda tour, it offered just a glimpse into the mindset of the people grasping at controlling an entire country, and helped us sympathize with those forced to live under the regime. The whole time, you never knew what was real and what wasn’t, and for that, it has to take the top spot as our number 1 experience. What is the most surprising thing you have learned from the people of S. Asia? In what ways do you think you have personally grown from your travels through S. Asia?